Caversham Tiles, also trading as Wokingham Tiles and Altwood Tiles is an independent retailer of ceramic and porcelain wall and floor tiles. They import directly from factories in Spain and Italy and sell directly to the public at the best possible prices. They only import quality products from the most reputable suppliers and pride themselves on their selection and service. Caversham Tiles have been using the Trackit system since 2004. Each of their three shops have two tills, plus Head Office PCs networked together. The system handles the complete sales and stock control functions, plus the purchase ordering of all the floor and tile products, all operating on a real time basis. One of the Trackit innovations introduced to handle the tile trade was an automatic pricing and square metre calculation which printed A5 labels showing shop name, range, primary and secondary items, delivery and material. Dabners is a long established Pet Shop business, trading for over 40 years, and they have 3 shops, situated in Croydon, Biggin Hill and Redhill. The range of products is extensive with over 10,000 quality pet products all in stock, also available to order through their web site. They sell everything from food, leads, books, toys, plants, cages, lotions and potions – all for your pet. In 2003, they installed the Trackit system and recently upgraded their tills to the latest touch terminals. They use “kits” of products, for example a budgie, cage, feeder and accesories all for one special price or sold seperately. The office system is extensively used, particularly for reordering products, allowing Dabners to ensure items are, wherever possible, in stock. This also results in optimising stock levels to the minimum, saving space and cost. There is no doubt that e-trackit has made a very significant impact on the success of their business. Equitogs, started in 1988, aims to provide the equestrian rider with quality products and expert knowledge. In 2008, they installed two Till Touch Screen systems in their Billinghurst, West Sussex shop and since then the company has continued to achieve and improve its aim, providing quality equestrian products and services online. Equitogs prides itself in its ability to supply its customers with expert equestrian knowledge and experience to help them and their horse maximize their performance. In 2010, Equitogs launched a Loyalty Card Scheme using the e-trackit card module. This allows customers to collect points everytime they make a purchase and then use these points to offset the value of an item. It uses the latest contactless card technology, and has been very successful in bringing customers back into the store. Located in Londons finest Savile Row, Gary anderson have been producing bespoke suits, tailored shirts and evening wear for over 25 years. Whether it is a bespoke suit or a ready to wear range, all stock is controlled through their e-trackit touch terminals. Staff are instantly able to advise a customer if the fabric of their choice is available, and then process this sale, along with the customer’s measurements, through the e-trackit special orders module. Gary Anderson have been using e-trackit since 2005, and we are proud to have a presence on Saville Row and a loyal relationship with Gary Anderson. Talking to other e-tailers, the Mainline Menswear web site is widely regarded as the the most successful in the country, and the one to aspire to. What is often not known is that it is powered by e-trackit, with all the product information held within the Stock module, uploaded and updated as sales are made. Mainline also operate two shops in Scarborough, together with a substantial warehouse, so it is vital that, in the market of designer clothes, stock levels are accurate, and shortages are minimised. The e-trackit system was installed in 2006, and was one of the first web sites to be fully integrated with our software, and continues to help Mainline as they grow their sales. Rightway DIY first started using Trackit in 2001 when they had 6 DIY shops. Now they have 17 retail outlets across North Wales and the Wirral providing full stock control and epos requirements. They operate without the need (and cost) of a central warehouse, each shop having full access to stock levels, reordering (using min/max levels) and transfers between shops. Trackit has opened up a whole new world of control and information to Rightway DIY. Information is produced very quickly at the touch of a button giving such reports as each site performance, profit margins and individual product performance. This allows for appropriate and creative decision making to maximise on market opportunities, and offers a measure of control that was unattainable before. Now the plan for 2012 is to have a fully functioning website and Rightway have engaged a local web company to manage this. it will be based on the Magento shopping cart software, and will seamlessly integrate with e-Trackit, providing product and live stock level updates and the download of orders. Scentsational perfumes have a web site, ebay shop and 2 retail outlets. They specialise in a great range of cosmetics and skincare products ranging from DKNY, Prada, Diesel, Max Factor etc all at massively reduced prices. In the build up to Christmas, their volumes increase dramatically, and they use e-Trackit to not only populate their sites, but also to control the stocking and reordering required for these peak times which would prove impossible to handle manually. Shu Shu is an independently run ladies footwear and accessory retailer with four stores in the Home Counties and an online outlet. It was founded in 1999 by Polly Lusher who set out to offer brands not often available elsewhere and to make shopping fun. James Lusher, who looks after financial matters, has been using e-trackit software to manage EPOS and stock control since 2006. He has seen distinct benefits in customer service and management control – and has much praise for support behind the software. Shu Shu’s unique range of shoes and bags is attracting a growing following. Many of the brands offered are popular in Europe but not represented elsewhere in the UK. Hiring or selling of hats and fascinators is a good business, driven by the wedding, corporate event or, of course, nearby Royal Ascot. As with all fashion businesses, stock is ordered well in advance: in February and March for Autumn deliveries and August for the following Spring. The ability to analyse past sales trends is a valuable support to the intuition essential to spot next year’s trends. Managing the stock to maximize sales during the season is critical to the business. Alongside the four stores, one of which is currently being relocated, is a smart website using the Magneto e-commerce platform. Given that even the most time-challenged customer prefers to try shoes on before purchase, the website is more of a shop window for exploration before a store visit. However, traffic is increasing and it is essential that stock offered is available. It proved a good choice; Shu Shu were able to hit the ground running and see immediate benefits. Integrating the credit card payments helps customers and staff when compared to traditional card processing which James describes as ‘pretty clunky’. The transaction is faster and less prone to error. Shushu also has an audit trail for each customer transaction and a growing database for marketing. With around 20,000 names, postal marketing is becoming prohibitively expensive, but Shu Shu are making more use of emails. Traditionally their audience of 40-50 year old ladies has been slower adopters of new social media, but that is changing, particularly with the uptake of smart phones. 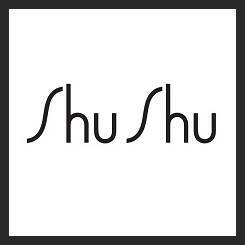 With 5000 active email addresses, Shu Shu have a cost effective way of announcing new stock, communicating offers and anticipating some of the important ‘hat occasions’. AMT Sports is a specialist sports retailer operating in London. They specialise in tennis, badminton and squash equipment as well as sports clothing. The business runs two retail shops in London and an e-commerce websites called www.tennisnuts.com The business has been in existence for 25 years and decided to install Trackit 7 years ago to enhance their stock management and provide a platform from which to expand. The business now relies heavily on the detailed information provided by the e-Trackit EPOS systems. In 2008 they opened a purpose built warehouse to handle the growing sales, and house the increased mail order and web activity. They have successfully integrated their shops, mail order operation and the website which allows them to replenish stock efficiently and know at any one time where the stock is, thus easing overnight transfers between locations when necessary. This has led to enhanced customer service levels and more repeat business whilst also increasing efficiency by taking the human checking process out of the equation.”e-Trackit is so critical to us in running our business. It enables us to operate a tight ship and focus on delivering an exceptional quality of service to customers who return again and again”. Valentiono Schoolwear are a family run schoolwear outfitters based in Woking, Surrey, with the business originally established in 1939. The shop has departments for men’s formalwear – casualwear – workwear – dancewear – children’s fashionwear – brownies, cubs etc not to mention being able to devote one complete level to schoolwear alone. The original order for Trackit, in 2005, was for a Back Office system linked to 3 tills. A fully linked web site was added in 2010. This is being regularly updated as new schools are added. The population of all the web site information is done via the Office system, with order information being downloaded into the e-Trackit Sales Order Processing system which handles the picking and despatch of orders. As with all schoolwear retailers, there is an enormous peak of activity in August, and e-Trackit keeps the management in full control of the counter, web sales and stock levels which result from this peak.